Game on! Show your skills at our middle school and high school 3 on 3 basketball tournament. This is more than a tournament, this is a teen event with food truck, DJ and lots of fun! An awesome prize will be awarded to the winning team! Sign up now! 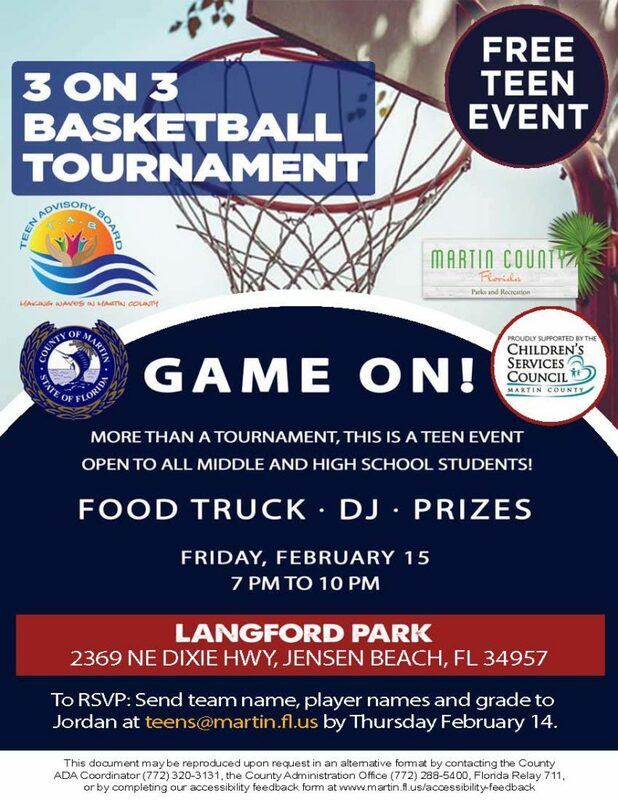 Send team name, player names and grade to Jordan at teens@martin.fl.us by Thursday February 14.